As a chapter of The Handmaid Coalition, Hollywood Handmaids stand for equity in gender and race representation, both on and off the screen, and for better working conditions in the film and entertainment industry. Directors, writers, producers, actors, extras, PAs, hair and makeup, special fx, stunts, camera, sound, costumes, props, art departments, locations, casting, editors, composers, publicists, agents, assistants, grip, electric, DPs, animation, voice over talent, craft service and catering, accounting, talent management, legal. We have been silenced, marginalized, belittled, assaulted, excluded, and harassed, once, twice, too many times. We are the ones who have learned that this is not one-off behavior - these are decades-old patterns upheld by systems. 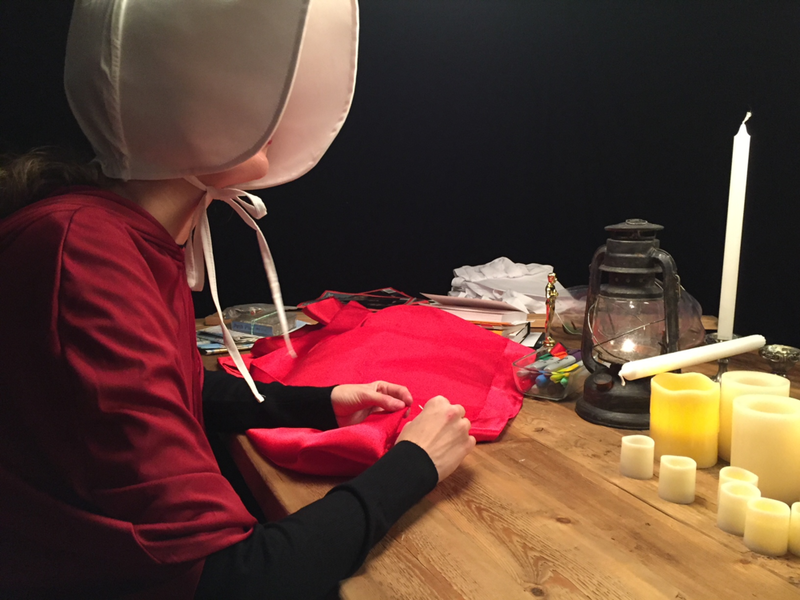 HOLLYWOOD HANDMAIDS will use our diverse media talents as well as our voices both online and in physical protest to signify that we will be SILENT NO LONGER. Our pain will be vocalized and our demands will be heard. JOIN US IN DEMANDING CHANGE AT ALL LEVELS IN HOLLYWOOD. The Handmaid’s Tale by Margaret Atwood paints a dystopian reality where women have lost all autonomy. We in Hollywood see ourselves on a similar trajectory, without intervention. The #MeToo Movement rebirthed in Hollywood in late October 2017 put a spotlight on long-held practices and behaviors that have influenced the entertainment industry, like so many other industries, for decades. The spectrum of torture wielded by these stakeholders is vast and many are left in its wake. Countless individuals have lost their livelihoods, abandoned their dreams, and have been denied career opportunities. The impact of this lost art in our industry is immeasurable. Sexual harassment and assault are symptoms of imbalance in power. For too long, women and minorities have been marginalized and segmented from traditional power structures. This imbalance creates a predator / prey dynamic, where the success of one group often comes on the backs of another. We must shift this power dynamics in our culture, in our policies, and in our laws by creating more opportunities for equity and representation on and off the screen and by holding abusers accountable. We are here to say that the infrastructure of Hollywood needs actionable change at every studio, network, agency/law firm, production office, casting office and on every set starting today. Every MAN and WOMEN in the Entertainment Industry needs to do better and become the example for other industries and society as a whole. Sign on to support these demands as we grow our coalition to make real change in the film and entertainment industry.